Well that’s Christmas over for another year. Your belt buckle needs loosening, your wallet has become a black hole and the only turkey you want to see in the next twelve months is the one where people wear a fez, drink mint tea and beat your bare feet with bats if you try to smuggle hashish. Except that here in Tenerife it isn’t over. In fact it’s only just begun. 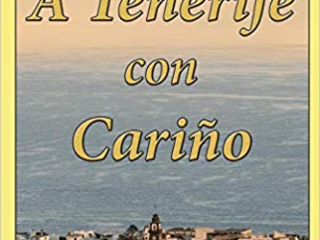 In this topsy turvy land, Christmas begins with a big feast on Christmas Eve and ends two weeks later when the Tres Reyes (Three Kings) hit town and children wake up on 6th January to find if they’ve been good enough to warrant any pressies. 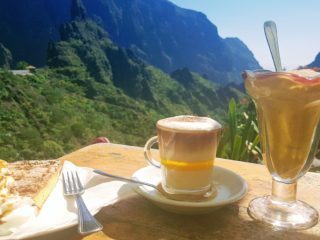 The good news for visitors looking for Tenerife deals is that they get to enjoy two Christmases”¦and the icing on the Christmas cake is that the second one comes stress-free. The question is though, where are the best places to partake of some intoxicatingly sparkly Christmas spirit? 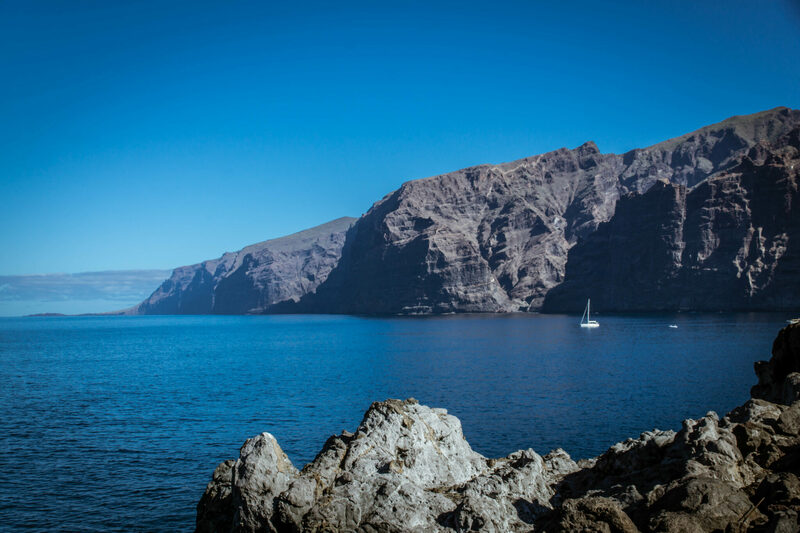 In fourth place is Puerto de la Cruz. 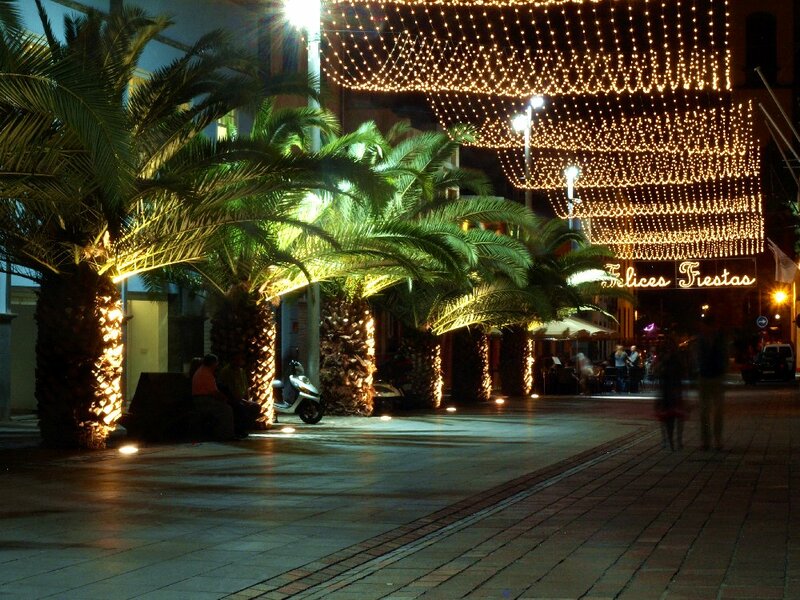 In truth, the Christmas decorations are a little disappointing this year in Tenerife’s first tourist resort. There’s a distinct lack of colour about the town, possibly because the giant wheel at the funfair nicked all the best lightbulbs. However, there’s still enough magic about to bring on some Christmas cheer. Plaza Europa in front of the town hall: Gold, gold and more gold – clearly the colour theme in Puerto de la Cruz this year. Thank goodness for the funfair and an injection of much needed colour. 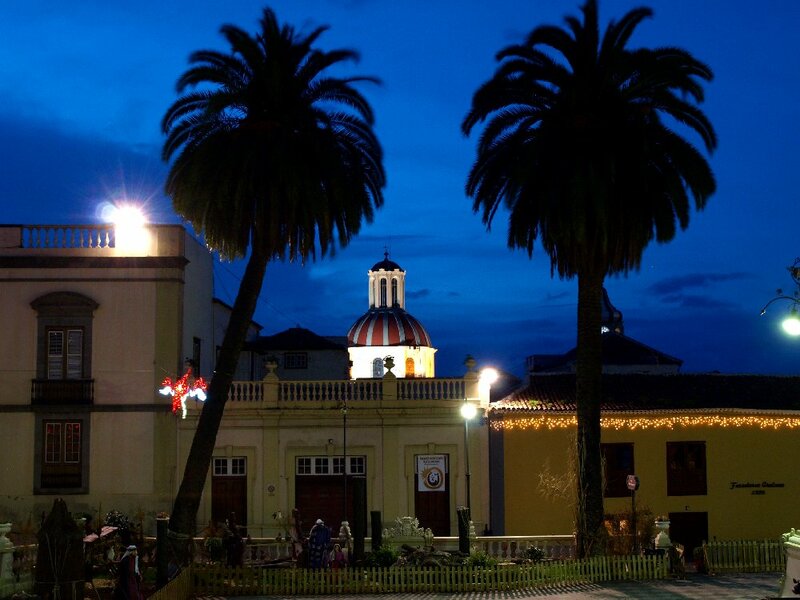 In third place is La Laguna. 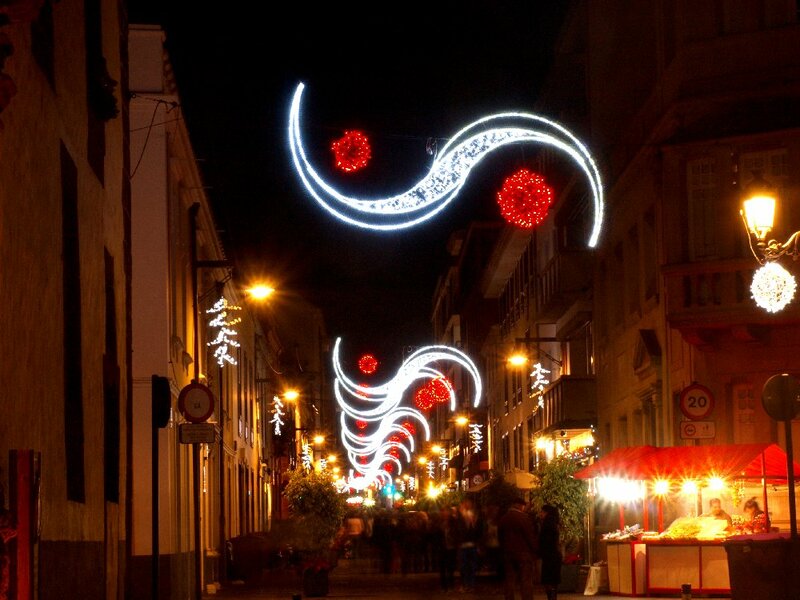 There’s a distinct Dickensian feel to the decorations in La Laguna helped by cobbled streets, historic buildings, Victorian style street lights and vendors selling hot toffee and baked potatoes from little carts. Plaza del Adelantado, La Laguna: Pretty, if a bit understated. This is much better: Street vendors and coloured sparkly balls ““ now we’re getting there. In second place is the island’s capital, Santa Cruz. 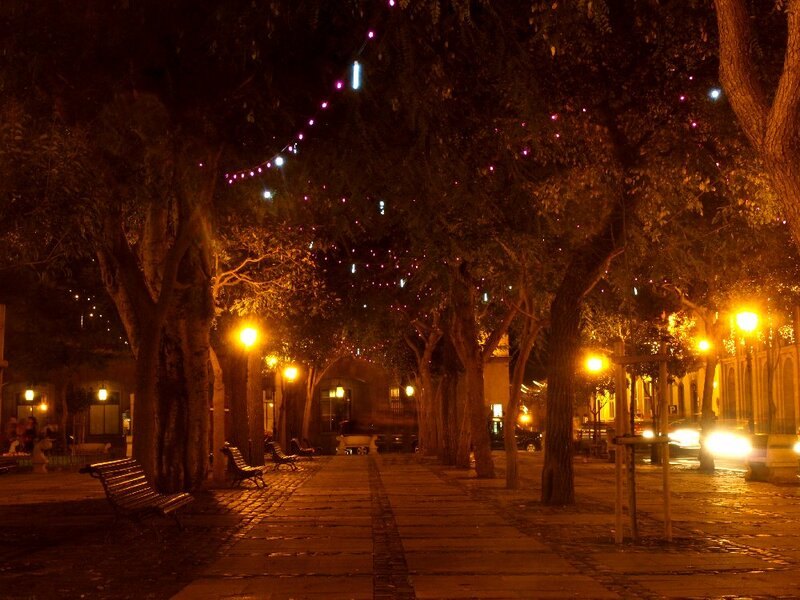 Plaza España is remarkably understated, but the streets between Plaza de la Candelaria and Plaza del PrÃ­ncipe are enchanting festive grottos featuring trees festooned with multi-coloured twinkling lights. 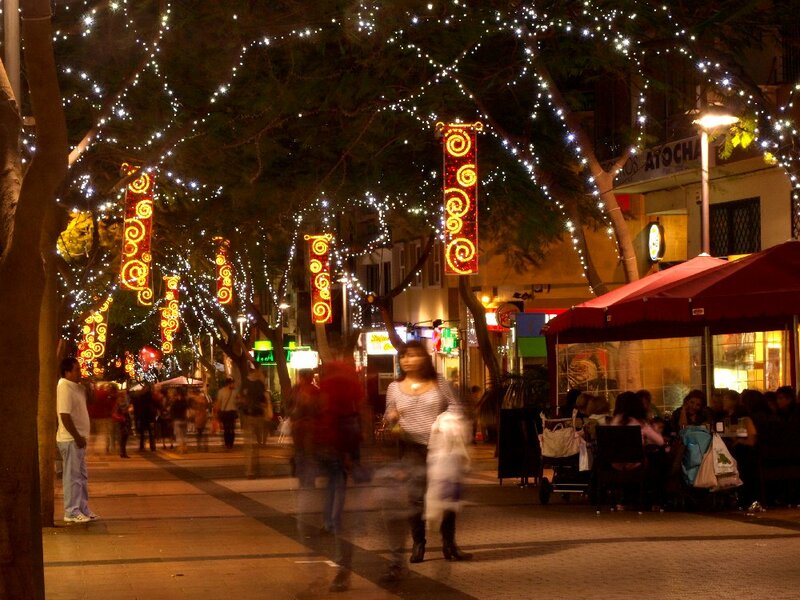 The big bonus in Santa Cruz is that throughout the Christmas period, live music in the streets provides that special finishing touch. At any one time choir singing, jazz and even a Beatles tribute act add a musical soundtrack to the city’s festive scene. 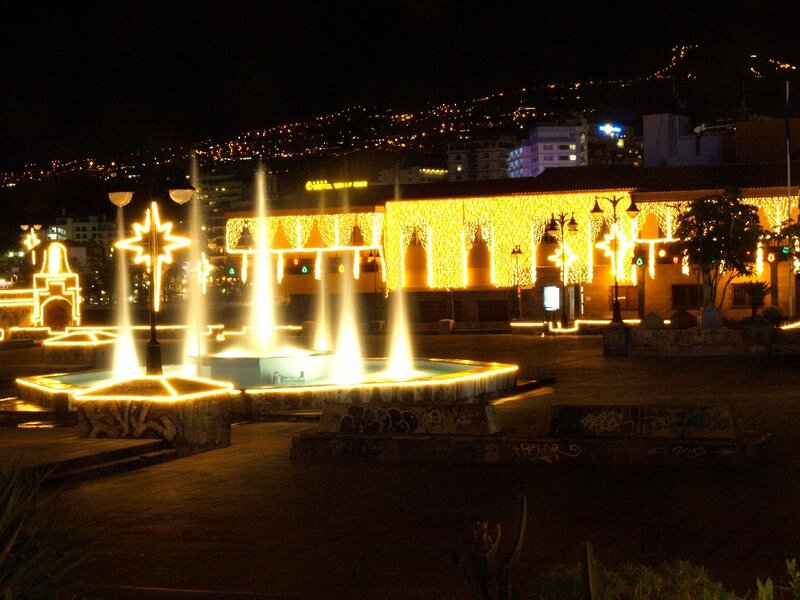 The Circulo de Amistad building knows exactly how to dress for Christmas. I bet you can’t walk down this street without humming Winter Wonderland ““ even if you are sweating at the time. 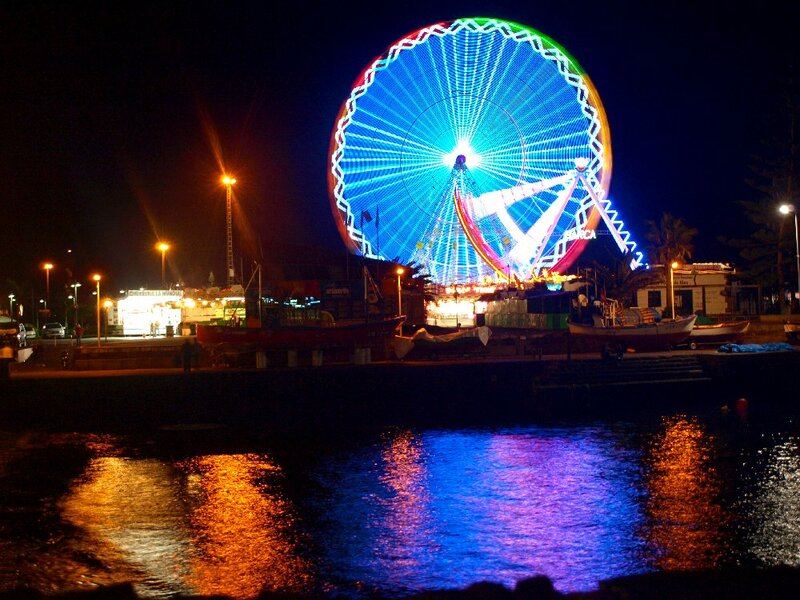 The Noria district: Palm trees and Christmas lights. The classiest town on Tenerife has come up trumps by also having the classiest Christmas decorations. 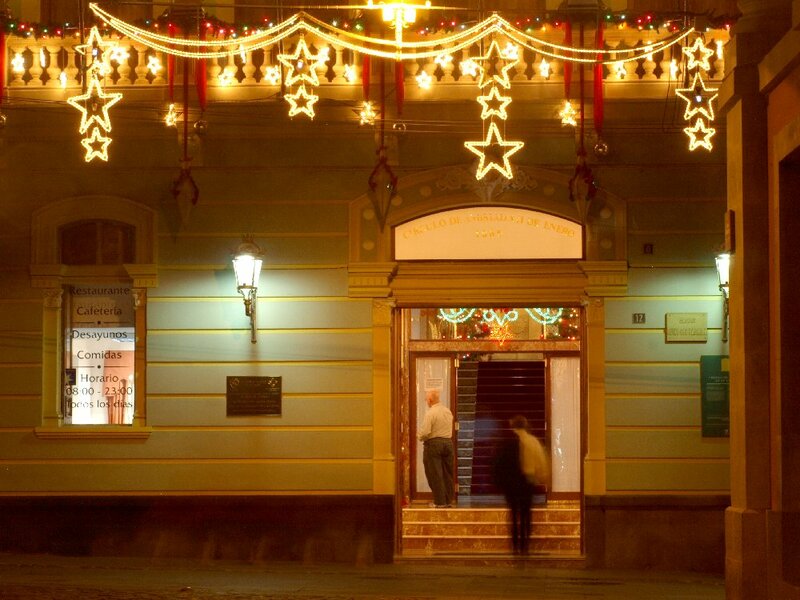 For providing a healthy dose of good old-fashioned Christmas atmosphere, La Orotava wins by a nose. 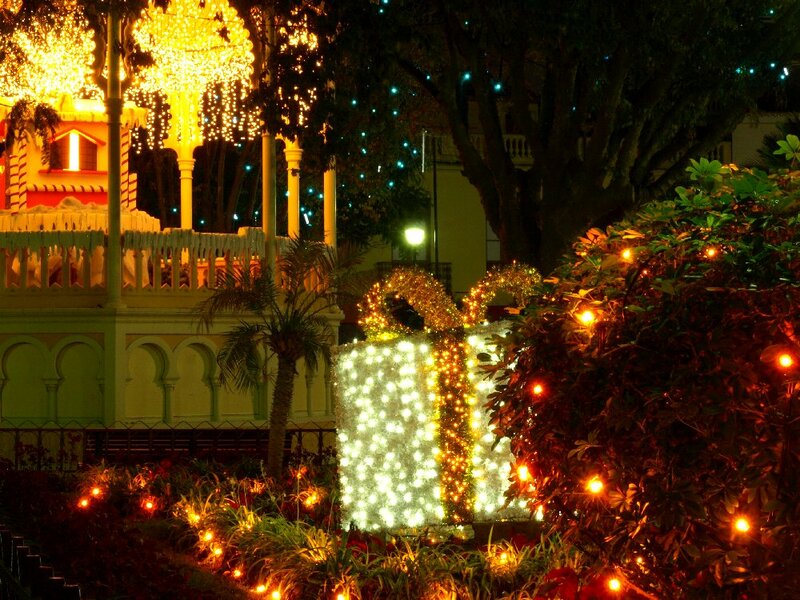 The life-sized belén in front of the town hall is hard to beat, but Plaza de la Constitución manages it with a gingerbread house bandstand, illuminated Christmas parcels and a tree-covered walkway with dripping icicles. 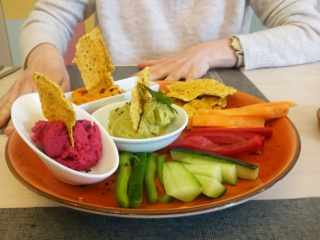 A visit to the town is the perfect antidote for eliminating any Scrooge-like tendencies. 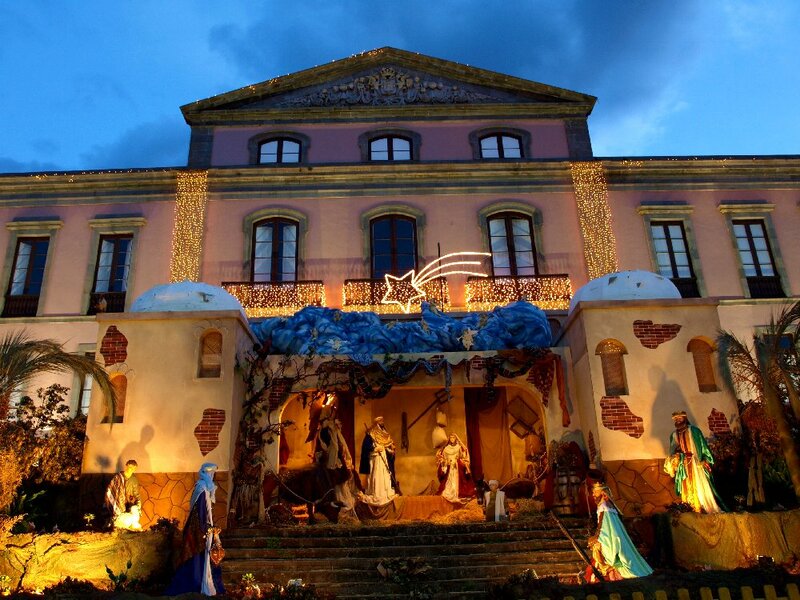 A life-size nativity scene outside La Orotava’s Town Hall. Can you get any more Christmassy? “¦.well, this might just about trump it. The Iglesia de la Concepción at dusk adds the perfect finishing touch to the nativity scene.